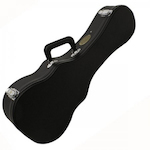 Guitar cases supply the best protection for your instrument. 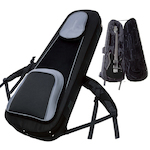 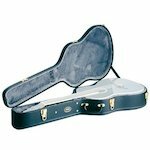 If you are travelling by car, plane, or boat and wish to take your instrument with you one of our quality hard cases are a must. 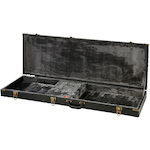 From brands such as Ibanez, Ashton, Gator, Schecter, SKB, and CNB we have cases to fit all sizes of guitar including acoustic, classical, electric, bass, you name it. 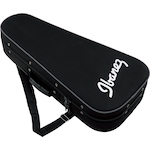 Whether it is Electric or Acoustic, Cut-away Acoustic or Bass, 6-string, 7-string or 8-string, learner or professional, fixed bridge or locking tremolo, you can find all you need from Ashton, Ibanez, Schecter, and Yamaha. 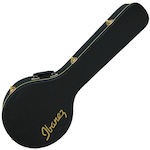 Ranges include set necks, bolt-on and neck thru construction using high quality hardware and high quality tone woods. 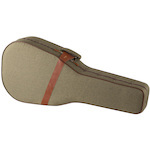 So if you're looking for a beginner guitar or a work-horse for profeesional use MusicWorks has the guitar for you.